In our seventh of eight opening round 2019 WHL Playoffs previews, we examine the Lethbridge Hurricanes and Calgary Hitmen. After a decade has passed, the Lethbridge Hurricanes and Calgary Hitmen will meet again in WHL Playoff action. Finishing in second and third in the Central Division, Lethbridge and Calgary are in for a heated battle of southern Alberta. 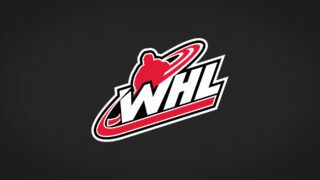 Last time the two teams faced off in the WHL Playoffs was in the second round of 2009 WHL Playoffs where the Hitmen swept the Hurricanes in a four-game series, eventually moving on to the WHL Championship. Despite Calgary’s previous strength and appearances in WHL history from 2009 on, the Hurricanes have a strong team that could outweigh the Hitmen’s franchise experience. Heading into the series, Lethbridge led Calgary with a record of 5-1-0-0 in the regular season. With the exception of the final two games in the regular season, the final scores have been close with only one or two goals separating the winner. Although Lethbridge has benefited from these wins, Calgary hasn’t been far behind and shouldn’t be taken lightly. For the Hurricanes, their strengths lie in their numbers. With five players (Nick Henry, Dylan Cozens, Jordy Bellerive, Jake Leschyshyn and Jake Elmer) within the top 20 scorers in the WHL, all with 80-plus points each, their offence is sure to be hot against the Hitmen. 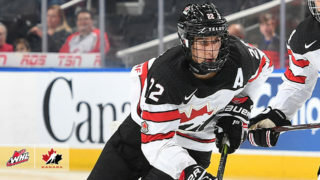 Bellerive (Pittsburgh Penguins), Elmer (New York Rangers) and 2019 NHL Draft prospect Cozens have had successful games against Calgary recording 13 points (7G-6A), 10 points (4G-6A) and nine points (1G-8A); respectively. Rookie goaltender Carl Tetachuk also played a vital role in the Hurricanes’ second-place position in the Central Division and will be expected to continue this effort in the playoffs. The Hitmen will be led by captain and 2019 NHL Draft prospect Mark Kastelic, who has improved every season but has stood out particularly well this year after recording 77 points (47G-30A) and 11 multi-point nights. Tied for top scorer for Calgary is James Malm who also recorded 77 points this season (34G-43A). In six contests against the Hurricanes, Kastelic recorded nine points (5G-4A) and Malm notched three points (2G-1A). Also supporting the Hitmen offensively will be Kaden Elder, Jake Kryski and Vladislav Yeryomenko (Nashville Predators) who each collected six points throughout the season series. Another rookie goaltender in Jack McNaughton will be hunting for redemption against Lethbridge. The series will get underway at the Enmax Centre in Lethbridge, Alta. Friday, March 22 (7 p.m. MT) and continue with Game 2 Saturday, March 23 (7 p.m. MT). 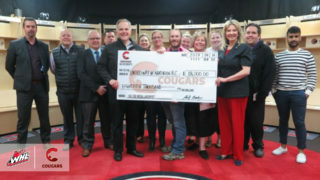 The series will then shift to Calgary, Alta. and the Scotiabank Saddledome for Games 3 and 4 on Tuesday, March 26 (7 p.m. MT) and Wednesday, March 27 (7 p.m. MT); respectively. Rivalry renewed – @WHLHurricanes & @WHLHitmen to meet in #WHLPlayoffs for first time since 2009. Improving on special teams, particularly their power play, will be essential to Lethbridge’s success. Heading into the playoffs, the Hurricanes’ power play percentage is ranked fifth overall in the league at 23.8 per cent, but falls 4.1 per cent shy of Calgary’s second-ranked power play. With both teams in the top five, there’s no doubt that power plays will be exciting in this series, but it is an area Lethbridge will need to keep an eye on to beat Calgary. Leschyshyn (Vegas Golden Knights) leads the team with 16 power-play goals and should be right in the middle of the action any time Lethbridge has the advantage, so keep an eye on #10 for the Hurricanes. Kastelic recorded 24 power-play goals this season, leading the league and giving Calgary a strong hold on power play efforts; therefore, their focus should shift to holding a scoring lead. In four of the six games against Lethbridge, Calgary had a lead of one goal or more, yet lost in three of those games. When they have a lead, it is essential that Calgary keeps it and a big role in that will be defense. Philadelphia Flyers prospect Egor Zamula will look to lead his team defensively, but a full-team effort and switch to a more defensively-tight game will be required to hold onto a lead and keep the Hurricanes at bay. Nick Henry (29-65 – 94): The alternate captain and Colorado Avalanche prospect attained a career-high in points this season as the Hurricanes’ leading skater. The winger is especially good at throwing off his opponents when creating plays because he is hard to read. But really, this entire section could be divided into fifths because of the offensive strength Lethbridge carries. Cozens, Bellerive, Leschyshyn and Elmer are all solid point providers for the Hurricanes. Any time they are on the ice, the Hitmen will need to be wary of the power these five players have. Mark Kastelic (47-30 – 77) and James Malm (34-43 – 77): Captain of the Hitmen and 2019 NHL Draft prospect, Mark Kastelic, coupled with James Malm, will be a part of the offensive driving force for their team. Recording 11 multi-point games of three or more points and 12 multi-point games, Kastelic and Malm are known for their offensive presence. Following closely behind with 64 points (26G-38A) and 60 points (27G-33A), Carson Focht and Kaden Elder should also be offensive contributors. Calen Addison (11-54 – 65): After playing the Hitmen in six games this season, Addison recorded six points (2G-4A) and a plus-two rating. He finished the regular season in sixth place among defensemen in the league and his offensive-play style can be thanked for that. While Addison is tough when defending his own net, he’s equally as tough to defend when he controls the puck, which only adds more depth to the Hurricanes’ roster. Egor Zamula (10-46 – 56): From his assists total (46), you can tell this defenceman will be a major part of Calgary’s core point producers. The Philadelphia Flyers prospect finished sixth in scoring for the Hitmen and seventh overall in the league for defensemen. Impressively, as a 2000-born defenceman, Zamula has been a leader on the blueline this season for the Hitmen. As he steps into his first WHL Playoff experience, he has the ability to play both sides of the puck and could be an integral piece to Calgary’s success. Carl Tetachuk (37 GP, 24-9-1-1, 2.88 GAA, .909 SV%, 2 SO): Rookie goaltenders could be the stars of this series and Tetachuk is looking strong for Lethbridge. In February, he was named the WHL Rookie of the Month for posting a 7-3-1-1 record, 2.83 goals-against average, stopped 332 of 365 shots for a .910 save percentage and earned his first career WHL shutout. 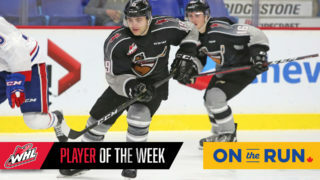 Since then, he has continued to impress right through to the end of the regular season, winning seven consecutive games before entering the WHL Playoffs. The Lethbridge, Alta. product will also have his hometown crowd supporting him for Games 1 and 2 in the series, ironically, a benefit both Tetachuk and McNaughton will share. 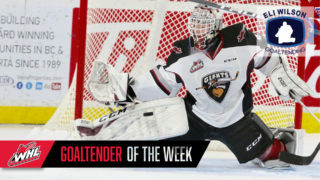 Goaltender to Watch – Calgary Hitmen. Jack McNaughton (46 GP, 25-14-3-1, 3.25 GAA, .888 SV%, 2 SO): Also headlining this series as a rookie is Jack McNaughton. The 18-year-old was a key piece in the Hitmen’s surge before and after Christmas, putting them back into the playoff picture. In his debut season, McNaughton earned 25 wins and set a new franchise record for most wins by a rookie goaltender for the Hitmen. The Calgary, Alta. native will also have the opportunity to play in his hometown when the series moves back to Calgary for Games 3 and 4. Statistically, this bodes well for McNaughton as 68 per cent of his wins (17/25) came on home ice in the regular season. This will be the Hurricanes’ fifth-consecutive year in the WHL Playoffs; experience that could prove useful against the Hitmen who missed last season’s playoff action. 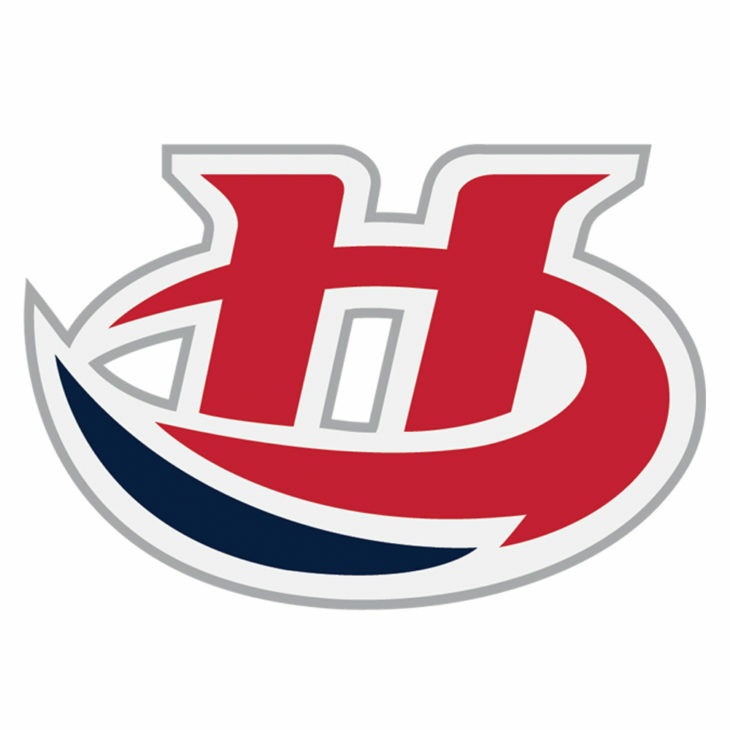 Last year, the Hurricanes advanced to the Eastern Conference Championship where they were defeated by the Swift Current Broncos in a 4-2 series. Excelling in the first and second rounds of WHL Playoffs last year could put the Hurricanes in good shape to repeat their efforts and maybe even get over the Eastern Conference Championship ‘hump’ this year, progressing to another WHL Championship Series as they did in 1996-97. The 1996-97 WHL Champion Lethbridge Hurricanes. After missing WHL Playoffs last year, the Hitmen have returned to face the Hurricanes for the first time since 2008-09. This season also marks nine years since the Hitmen’s last WHL Championship in 2010. 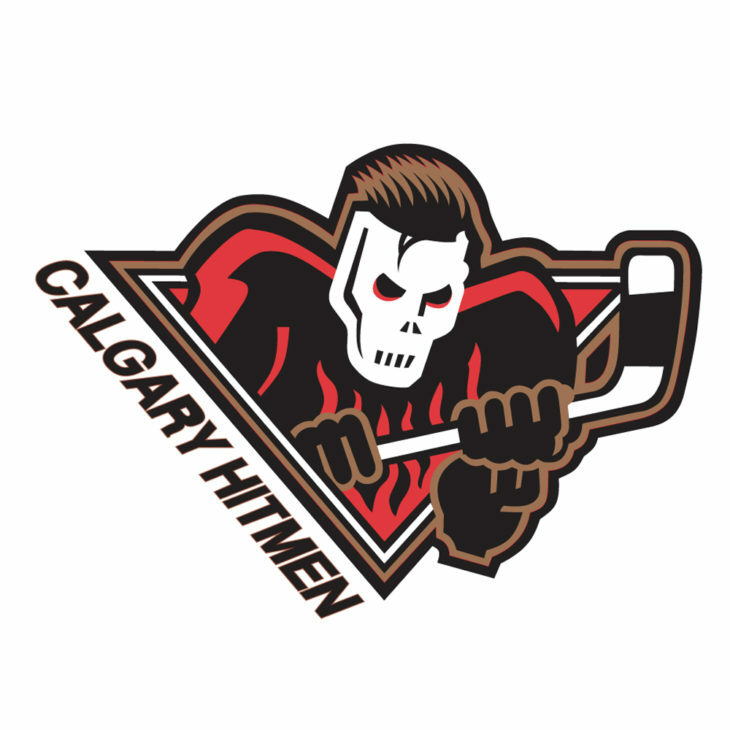 With another league title (1998-99) under their belt compared to the Hurricanes, will the Hitmen be able to bring home a third?